I liked the first Anchorman film. It certainly had its moments, developing a cult-like status amongst its fans. Maybe I’m one of those people who found it surprising that a sequel was announced but you do what you normally do – you roll with it. I’m pretty certain that I watched the extended version and what I watched was very dull. 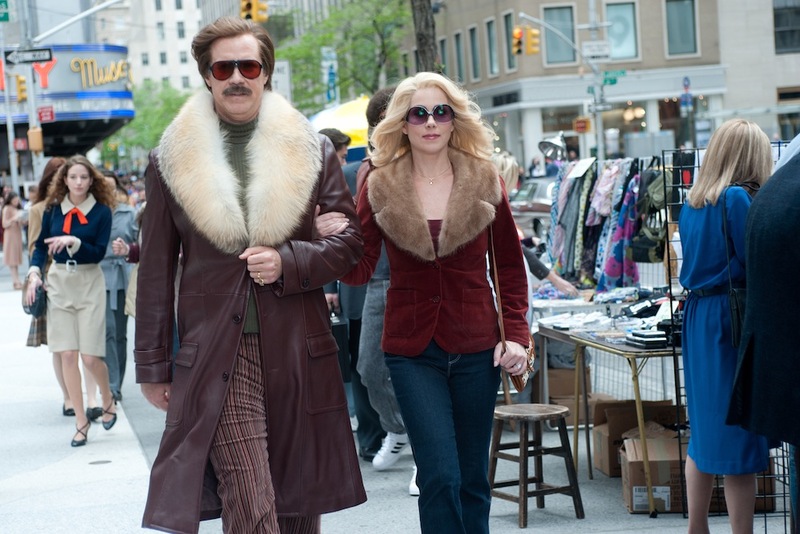 Watching Anchorman 2 was like watching a two-hour improv joke that ran nowhere. Scenarios were dreamt up but nothing actually scripted. I wanted to laugh but just like my opening statement – you get kicked once, you laugh. The same thing repeatedly happens and suddenly that laughter turns into outright pain. Right about now I would be summarising the plot. Honest to God – that is a hard task in itself! So many plotlines going off in a tangent that the plot felt forced and disconnected, not sure of what it wanted to achieve. It felt pointless, primarily guilty of having too many jokes for the sake of it. The film starts off relatively well. Ron Burgundy (Will Ferrell) and Veronica Corningstone (Christina Applegate) live the high life with their son in New York. Veronica then gets offered a top anchor position whereas Ron is fired which in effect puts a strain on their relationship. Down and out, Ron is then recruited to headline a brand new 24-hour news channel and feeling inspired he gets the gang back together – Brick Tamland (Steve Carell), Champ Kind (David Koechner) and Brian Fantana (Paul Rudd). I enjoyed this part – I laughed, especially when Ron didn’t understand the nature of “cruise control” in his RV. After that reunion, the rest of the film falls apart spectacularly. Watching Anchorman 2 can be a distracting experience. You have incidents that didn’t live up to anything. Ron going blind, living in a lighthouse or spending time with his son felt like a last minute random stitch on rather than something that was thought out and explored. I know they felt the need to flesh out the news team with their own plots but the decision to promote Brick to the forefront is questionable. 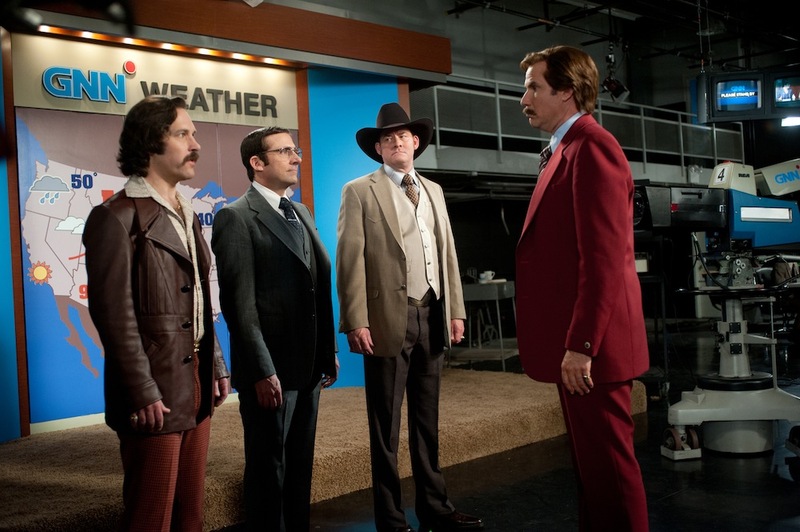 Brick in the first Anchorman film was dumb but lovable, used sparingly throughout the film. In Anchorman 2, he’s straight up annoying and by giving him a love interest just further increased the awkwardness and the lengthy screen time. Champ Kind is neglected whereas Brian Fantana probably gets the best screen time of the bunch. The black jokes – seriously? If there was ever a moment where you could feel uncomfortable whilst watching a movie, then this was it. Ron saying “black” was reminiscent of Mike Myers in the Austin Powers movies where he couldn’t stop saying “mole”. It was funny to a certain point but by the time it reached the dinner table scene, the line between funny and outright cringeworthy was notably crossed. The whole thing was epically misjudged. You know what’s sad about this film? There’s an Ocean’s Twelve vibe about it. It felt more like a giant cast reunion of old friends. They filmed it hoping the ideas would just flow out of a barrel, recapturing the old magic. But that wasn’t the case. In fact they over-complicated matters when clearly there was a simplified story bubbling beneath the surface. The sequel took the classic “bigger, better and longer” mantra and lost sight on what this film was about. Is this film supposed to be about the evolving change of news? Is this about Ron connecting with his son who is equally dim-witted as his father? Is this about friends and news rivalry between the networks? I seriously don’t know the answer to that because half the time I didn’t know what was going on. Characters suddenly turned into caricatures of themselves instead of developing them. Because of that misplaced foundation, the jokes suffered. Jokes endlessly rambled on to the point of no return. I dare you to try and quote a line from this movie. It was a hard task to pick a quotable line to title my review! I laughed more at the trailer and majority of those jokes weren’t even in the film! The only time a joke agreed with my funny bone was towards the end with the news crew battle and the celebrity cameos. But in the end it served up as another distraction and was introduced far too late to save the film. To say I felt disappointed would be the understatement of the year. I was excited for it’s potential. I loved that it tackled the 1980s and the history of 24-hour news. In the end, I watched a sub-standard comedy – there’s no getting around that fact. Honestly, there are better comedies out there that do the job effectively than this. It’s ironic that Ron bottle-feeds a shark because this film literally “jumped the shark”. Anchorman 2 is more of the same from the first film but this time it’s bloated, too long and guilty of over-acting and trying too hard to make a joke. In the end, the joke’s on them. Don’t expect Anchorman 3 anytime soon. LOL for real! I wanted this to be good but it was terrible.